The pet-license renewal period will take place from January 15 to February 15, 2019. 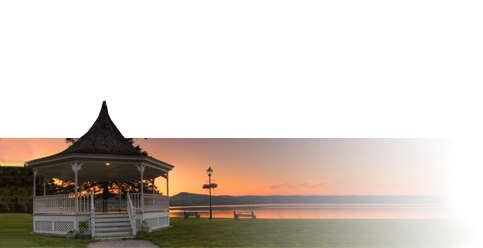 All owners of pets already licensed with the SPA de l’Estrie will receive their renewal notification by mail by the end of January. Pet licensing is a municipal by-law? Regulation in various municipalities of the Eastern Townships requires that all pet owners register their pets with the SPA de l’Estrie. Pet licenses are valid from January 1 to December 31 of each year? 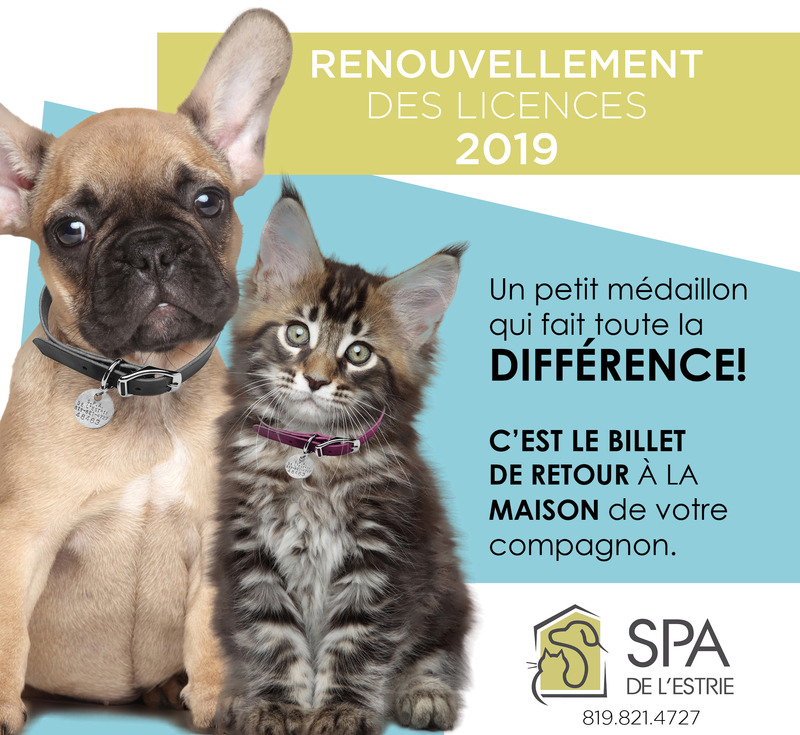 Pet owners are required to renew their pet licenses on a yearly basis upon receipt of the notice sent by mail from the SPA de l’Estrie. The notice does not include a new tag; the same tag is used year after year. However, if a tag is lost or the number on it has faded, contact the SPA de l’Estrie, at 819 821-4727, option 4. A new tag will be sent in the mail. License payments must be made at the latest by February 15, 2019? Municipal regulation includes administrative costs for all payments made past the due date. Municipal regulation also includes a possible minimum fine of $50 for non-compliance with the said regulation. You are eligible for a $10 rebate if your animal has been spayed or neutered? If your pet has been spayed or neutered in the last year, include the form (from your veterinarian) with your payment or fax it to the SPA de l’Estrie at 819 823-1573. You will receive a $10 rebate on the regular price to license your pet. You no longer have your pet? If you no longer have your pet, contact the SPA de l’Estrie, at 819 821-4727, option 4; your file will be updated. Complete the form available at spaestrie.qc.ca, under REGISTERING YOUR PET (at the right of the screen), in the How to Register Your Pet and Obtain His ID Tag section and forward it to the SPA de l’Estrie. Do not include payment immediately; you will receive an invoice within a short period of time. For additional information, do not hesitate to contact us at 819 821-4727, option 4.